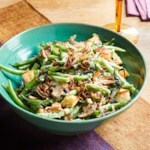 A much healthier take on the old-fashioned green bean casserole, this version thankfully skips the canned soup and fried onions! 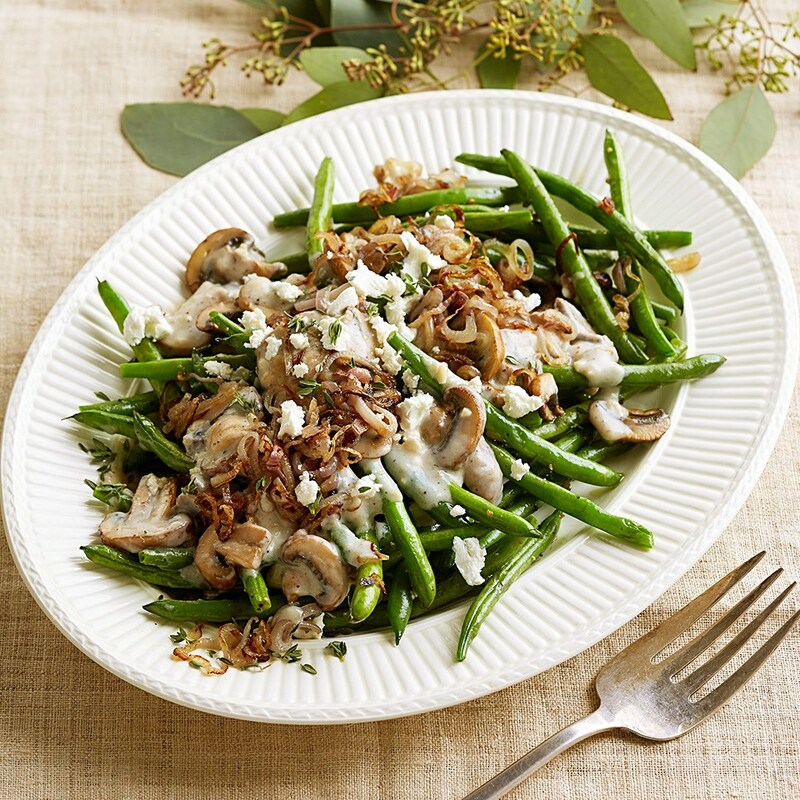 Fresh green beans are cooked until crisp-tender and topped with a garlicky-thyme mushroom sauce, shallots and crumbled chèvre. 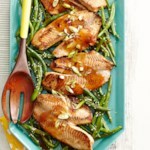 In a 12-inch nonstick skillet heat 2 tablespoons of the oil over medium-high. Add shallots; cook 4 to 5 minutes or until deep golden, stirring occasionally. 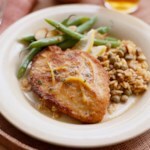 Drain shallots on paper towels, reserving drippings in skillet. 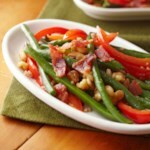 Add green beans, the water, ¼ teaspoon of the salt and ⅛ teaspoon of the pepper to reserved drippings. Cook, covered, over medium-high 2 minutes. Cook, uncovered, 6 minutes more or until beans are crisp-tender and starting to blister, stirring occasionally. Transfer to a platter; keep warm. 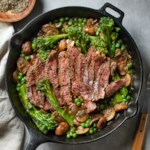 For mushroom sauce, add the remaining 1 tablespoon oil to skillet. Add mushrooms; cook and stir over medium 1 minute. Add thyme, garlic and the remaining ¼ teaspoon salt and ⅛ teaspoon pepper. Cook 2 minutes more or until mushrooms are golden, stirring frequently. Stir in flour; gradually stir in milk. Cook and stir until thick and bubbly. Cook and stir 2 minutes more. 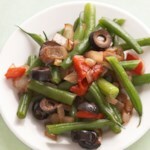 Pour mushroom sauce over beans and top with shallots and cheese.